1) Edward Snowden: in a search for a safe heaven. Edward Snowden’s decision to seek asylum in Russia, unveiled this Monday, caused international furor and added more tension to US-Russia relations while putting the Kremlin in a delicate position. 2) US-EU partnership: to spy or not to spy. Snowden’s painful revelations concerning US surveillance programs have caused a major scandal between the United States and the European Union. 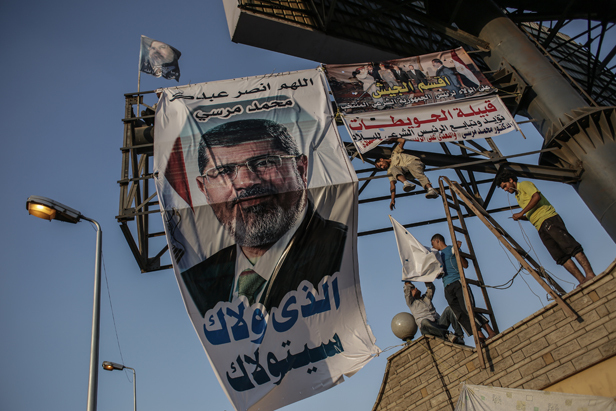 3) Mohammed Mursi, embattled president of Egypt. Mohammed Mursi, the first Egyptian president of post-Mubarak era, sworn in as the head of state one year ago - on June 30, 2012 is facing a mass protest movement to oust him from power, seen as a new wave of the Arab spring, which toppled the regime of Egyptian strongman, President Hosni Mubarak. We are discussing these issues with Mikhail Margelov, chairman of the Federation Council's International Affairs Committee, President Putin’s special envoy to Africa, Dmitry Trenin – Director, Moscow Carnegie Centre, Sergei Rogov, Director, Institute of USA and CanadaStudies, Academician of the Russian Academy of Sciences, Alexei Kuznetsov, Head, Center for European Studies, Institute of World Economy and International relations, Antony Louis – British independent analyst, Jan Techau, Director, Europe Carnegie Center. The podcast was first published in Voice of Russia.